Prophecy warnings are all coming true on gold, cashless society, North American Union, Rise of the EU's Euro, fall of the U.S. dollar and more- Feb. 28, 2008 report. Note: If links don’t take you to news reports you may have to copy and paste the link to your address bar. I am working on this problem. Since 1978 I have been trying to warn as many people as I can that America will lose her position as the number one superpower. In my book which you can download on this site for free, I explain in detail why the U.S. will fall to the European Union (EU). In short God gave us the warning signs which I am now showing you. On Feb 7, 2008 I warned you all that you should keep your eyes on the U.S. dollar, because you are going to see it fall in the marketplace. I also warned you that the Euro which is the European Union’s currency will climb. This has to happen because the EU is the (reborn Roman Empire) who we are told would stand at the time Jesus returns. In my Feb. 15, 2008 post which, is also still up on my site, I told you to keep your eyes on the price of Gold. I said we have only begun to see the price of gold climb, and I tell you why the price will rise. In my book I warn that the world will move to a cashless society. I also warn you in chapter 2 of my book that the U.S. has made plans to form a North American Union with Canada and Mexico. Keep in mind, I made the warnings but I didn’t come up with these future events, God did. The Lord has given us the future in detail so those who were watching would know we are very close to seeing Him return again. There is no question prophecy is now being fulfilled and is beginning to speed up. Today’s news we see the price of gold has reached $976.32 a once which is again a new record high. You can go to the links below and read the entire reports. Will gold keep climbing? Yes! Also in the news today we are told the U.S. dollar has taken another hit and for the first time the Euro reached $1.52 against the dollar. The Euro is killing the dollar. See link below. Part of forming a one world government will be to forge many National Unions. I explain who and what these Unions are in chapter 2 of my book. The North American Union will be one of the last Unions to be formed. The Union will be between the U.S., Canada, and Mexico. Bush on Feb. 14, 2008 again went behind the U.S. Congress and signed a military agreement which will allow the “armed forces from one nation to support the armed forces of the other nation during a domestic civil emergency, even one that does not involve a cross-border crisis” (WorldNetDaily Feb. 28, 2008). This means if Bush were to declare a national emergency he could call on Canada to have their troops come to his aid in the United States. Bush under Presidential Directive 51 which is the National Security Directive, now has the power to do just that. When could Bush use the Directive 51? If we get another major hit by terrorists Bush could simply take over. Once all these national Unions are in place the next step will be to forge all these Unions into one. The Antichrist is waiting in the wings to head this one world government. In chapter 1 of my book I also warn you about the coming Mark of the Beast. I give you samples of the technology currently being used to ID people. In today’s news there is a new type of technology that is able to be placed under the skin, just as Jesus warned us! I suggest you read the report. You may have to copy and paste the report to your address bar. In the Canada.com news Feb. 25, 2008 there is a report informing us that many stores are not taking hard cash anymore. The report also gives a look into the future and shows us plastic money is taking over. In chapter one of my book I cover this issue in detail. Here is a short section from the Canada.com report. “In Canada, the latest data point to a future similar to that of our American neighbors, as cash withdrawals steadily decline and shop prefer to pay with plastic.” We are being programmed to think anyone using cash in lines at stores, is looked upon as old fashioned and a burden. I know many of you have seen the TV commercials where people are in line buying things very fast as they swipe there credit cards, then someone comes up and digs for cash in their hand bag. In those commercials they show you everything comes to a fast halt as the person searches for the cash, then seeing the people upset in line the person, breaks out their credit card and the line and music begin to move again! These are all signs for you, they are signs that point to very Word Jesus warned us about future prophecy being fulfilled. If you don’t believe me now, all I ask is keep watching the news, because you are going to witness everything I have warned you come to pass. Then at the right time, you may choice to take Christ as your Savior. I ask nothing from you, I don’t ask you for money, I don’t want your pledges; all I want is for you to see the truth about what is going on. Do you want to escape all the things that are coming to pass on this world? Jesus told us, the only way to escape will be through Him. Another warning sign that war is coming to the Middle East soon. There is the chance that what Nasrallah warns and what Syria and Iran see coming is the conflict the prophet Ezekiel warned us about. For complete details of Ezekiel's prophecy go the post on the Coming Attack Against Israel, or download entire prophecy book and read chp. 10. It is a free download. "Syrian and Iranian officials believe there will be a serious military confrontation with Israel in the near future, according to Al-Akhbar, a Lebanese daily affiliated with Hezbollah. Hezbollah's response to the assassination of Imad Mughniyah, the organization's operations chief, will force Israel to make a "difficult decision," the newspaper stated in an editorial. Hezbollah blames Israel for Mughniyah's assassination in Damascus last week" (HAARETZ.com Feb.18, 2008). Today Feb. 21, 2008 another warning appears. The headline to the following report is as follows: "Iranian official: Countdown to Israel's destruction has begun" "Iranian Parliament Speaker Gholam Hadad has warned that the "countdown to Israel's destruction has begun," in an interview published Thursday in an Iranian newspaper. Hadad's comment was one of a number of scathing remarks made by Iranian officials regarding Israel this week, a trend apparently escalated by the assassination of Hezbollah's second-in-command Imad Mugniyah earlier this month." (Haaretz Service and News Agencies) Again on Friday Feb. 22, 2008 stated, "Hizbullah head Hassan Nasrallah on Friday said Israel's "disappearance" is an inevitable fact. "It is an historical process in the region which will come to an end in several years," . Those of us who know prophecy are very aware this war is coming. You will see headlines like these appearing soon. Israel and Syria at war Damascus threatened to be destroyed, or Israel fights for her life. http://www.jpost.com/servlet/Satellite?cid=1203605154085&pagename=JPost%2FJPArticle%2FShowFull Is Israel ready to attack Iran? The Jerusalem Post on Jan 15, 2006 ran a report with this following headline: "IAF trained for Iran attack". In that report they write, " IAF pilots have completed their mission training and fighter jets have been prepared for an Israeli attack on Iran, the British Sunday Times reported." Believe me, if you know the history of Israel you will know there will be a point of no return. What does that mean? As soon as the Israeli government sees the UN can't stop Iran's nuclear plans and the U.S. is helpless to do anything to stop them, Israel will attack. We are close to the point of no return right now! All we do know is this, the Islamic nations Ezekiel told us would attack Israel are preparing themselves for that attack. These are not peaceful men, and no matter how much you want to talk to them, they have one purpose in mind, destroy Israel. Ezekiel chapter 38-39 tells of how Russia and her allies which includes Iran, are going to attack Israel to destroy her and retake Jerusalem, or at least try to destroy her. Most of the nations named in the Ezekiel prophecy worship Mohammad and are Islamic. Is it fact that these Islamic men hate Israel They don't hide the fact and are very willing to tell the world they will destroy Israel and anyone who doesn't worship Alla. I would like to give out a warning to anyone who thinks they will destroy Israel in the next war. God made it clear, when the Ezekiel war begins 5/6 of the entire army that comes against Israel will be wiped out! I pray for the men who hate Israel, I hope that some of them will take heed to what the Word of God says about this battle and they refuse to engage in this war. No matter how powerful Russia and her allies are they will not defeat the Lord who says the world will know that it was I who saved Israel. Keeping on the watch! Feb. 21 (Bloomberg) -- A magnitude 6.0 earthquake struck northeastern Nevada early today, collapsing some buildings and causing gas and water leaks. No injuries were reported. Jesus warned one sign would be earthquakes. He also said watch, you will see civil war and nation against nation. News this week, Belgrade looting and rioting. (Feb, 2008). DiMora's warning of rise in wheat prices comes true 5 days later! On Feb .15, 2008 I wrote a post telling everyone what will rise in the near future. I covered a host of things such as gold, silver, diamonds and yes, the price of wheat. Tonights ABC News reported on the increase of wheat products, and the reasons for the increases which are being felt worldwide. ABC news stated, "Blame it on the price of wheat. Demand for alternative energy has farmers planting less wheat and more corn, the key ingredient of ethanol. According to the USDA, since 1997, the amount of farmland dedicated to planting wheat has dropped from 70.4 million acres to 60.4 million, while corn acreage has risen from 79.5 million to 99.6 million." "U.S. wheat stockpiles have hit a 60-year low, and wheat prices have never been higher, which means pasta prices have doubled. And that loaf of bread will cost you an extra 20 cents. Economists say food inflation is as high as it has been in nearly 15 years. "The price spike is being felt across the globe. In Italy, the cost of pasta is spiraling — up 20 percent since September. Malaysia no longer allows anyone to take flour out of the country. And in Pakistan, they now stockpile wheat and use their military to guard flour mills." (AP Feb. 8 2008). The price of wheat has never hit $11 a bushel, not until now, and it won't stop at $11.00. The U.S. government has already reported and confirmed dwindling stockpiles of the grain used to make brea pasta and other foods. I know many of you may have not read the entire Feb. 15 post becasue it is alittle long, however what I said was now confirmed 5 days later. This is only the beginning of things to come! Please go back and read the entire post on Revelation chapter 18. If you want to know how to prepare for your future you need to read what we will be facing. Click to link to see entire report concerning the increase in the price of wheat. In todays news we see more of the same for the United States. Our economey is taking a hit and it isn't over yet. Here is the latest news from Washington: "The Federal Reserve on Wednesday lowered its projection for economic growth this year, citing damage from the double blows of a housing slump and credit crunch. It said it also expects higher unemployment and inflation." Yahoo News Feb. 20th, 2008. If they tell you things will get better for America you had better read chapter 2 from my book. While the forecast for America keeps looking at grim figures what is happening in the EU (European Union). ? Projections for the EU show there is more growth expected for the Union. The European Union economy is expected to grow by 2.9% in 2007 and 2.7% in 2008 (2.6% and 2.5%, respectively, in the euro area) on the back of solid investment and stronger private consumption, according to the Commission’s spring economic forecasts. Such growth levels imply an upward revision of ½ percentage point in 2007 for both areas compared to the autumn. Jesus told us to keep on the watch for the rebirth of the Old Roman Empire to be reborn. The EU (European Union) is that reborn Roman Empire! 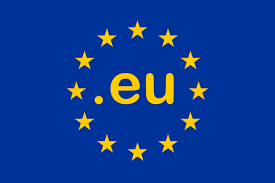 In the near future you will see more signs coming from the European Union, showing how the scales of power are moving toward the EU and away from The U.S. To read specifics on what is going to take place in the near future, you can download my entire book from this web site. Look for the post which says download The Last Chronicles of Planet Earth. The book is free to anyone who wants proof Jesus's Words, (all of them), are coming to pass. Click to link below to open up Feb. 20th post. To download Free Prophecy book "The Last Chronicles of Planet Earth" click to link below. that has been prepared for an army of 200 million men, then in chapter 16 of Revelation, Jesus tells us, the army comes from the EAST. It is a well-known fact today, that Chinathe nation to the EAST has an exact army of 200 million men. You can see this documentation by going to chapter 12 of my book. If Jesus can give an exact number of an army in China some 2000 before it is ever formed, then He can for sure give us warnings about the items on His list in Revelation chapter 18. If you did your own search you would find the items on Christ's list are all making surges in the market place. I want to cover some of these items Jesus listed in this post, after all, He told us to "keep on the watch". Let's start off with gold. I will cover other items on Jesus' list as well, such as the precious metals and precious stones, but first click to the link below, it will show you what the price of gold looked like from the years 1800-2000. You will notice that the gold price pecked in 1980, but then really began to climb in the past few years. Below is a chart that shows you how gold has been climbing, click on the picture to enlarge. NEW YORK (MarketWatch) -- Gold futures rose early Friday, as the U.S. dollar traded lower against most of its major rivals, boosting investment demand for the precious metal. Gold for April delivery gained $7.20 at $917.20 an ounce on the New York Mercantile Exchange. FOREX-Dollar drops as Bernanke cites growth risks Thu Feb 14, 2008. NEW YORK, Feb 14 (Reuters) – “The dollar fell against the euro and yen on Thursday after Federal Reserve Chairman Ben Bernanke said the U.S. economic outlook had worsened and that the central bank would act as needed to support growth.” This is just one sign of the EU beginning to surpass the U.S. Right now the Euro is killing the dollar. “Gold suddenly seems all-too popular. But does Wall Street's love of the metal mean the bull market is finished...? Both the Times and the Telegraph in London just ran bullish reports on the metal. The Financial Times notes that institutional money has a "growing love affair with gold...”Deutsche Bank AG, the world's largest securities firm, expects gold to rise as the US dollar falls further, and individual traders and dealers are also backing gold to go higher this year. Bloomberg says that 22 out of 31 finance professionals surveyed last week all advise buying the metal.” As you read this keep in mind these are the preicious metals on the Lord’s list! Fact is, these precious metals at booming right now and they are making a lot of people rich. The article below gives some information for you in a report called “The Scrap Metal Boom”.“The second largest US export to China? Old scrap including scrap metals like gold...SLANG IN YORKSHIRE, England, has it that "Where there's muck there's brass." ” And these days, with a booming scrap metal market worldwide, "Where there's brass, there's brass," too. Last week the estimated New York dealer buying price for scrap yellow brass solids, delivered to the scrap yard, ranged from $1.25 per lb to $1.35 per lb; the price for scrap red brass solids was 12% higher.”2nd quote: “Scrap Metal: Why the Current Boom Two major factors are driving the current boom in scrap metals. First, a strong market for metals per se; and second, a growing concern for the global environment” Click to link to read entire report. This next report is from Living in Peru, Feb. 12, 2008. In a section of the report it states, “As predicted by analysts last week, the value of the US dollar has decreased below 2.9 soles in Peru’s banks. With the tenth consecutive decline in value on Monday, the US dollar dropped in appreciation against Peru’s sol to 2.908 by the end of the trading day.” If you would like to read the entire report you can go below and click to link. Cnews from Canada on November 2, 2007 reported their loonie (dollar) has set a new record against the dollar. “The loonie, already soaring on high commodity prices, hit new records Friday, surging more than 1.9 cents to end the day at 107.04 cents US, its highest close on record.” Link to full report is below. Just how big is the diamond business. Read this short piece from the A&C News. The report is out of Johannesburg and it states, “Diamonds are forever,' Shirley Bassey once sang, and the diamond industry wants it to stay that way. The potential threat now is the film Blood Diamond, which has revived controversy over so-called 'conflict diamonds' used to fund civil wars in Africa. Fearing harm to their business - annual sales of nearly 10 billion euros (12.9 billion dollars) for rough diamonds and 14 billion euros for polished ones - the industry's public-relations and marketing specialists quickly manned their battle stations” (Jan 30, 2007). Link is below. Jesus also had vessels of ivory on his list in Rev chp. 18. Does it surprise you that Ivory is now in high demand? As a matter of fact the activity in the black market is huge, and if not stopped altogether, there won’t be any elephants left. The cost of Ivory is skyrocketing just as indicated by Christ. Read just one report that talks about the illegal ivory trade, “nearly a decade-long suspension of trade in elephant ivory is not enough. Consumer demand is booming, and domestic trade is out of control. Until this is addressed, we will not see an end to the bloodshed." “Just a few months ago, in October 2007, 93.9 kg (207 lbs) of elephant ivory was confiscated in Zambia. And, again, a few days later, 22 tusks were seized in Zimbabwe. Also, in that same week, a man in British Columbia was prosecuted for illegally importing 30,000 pieces of African elephant ivory. These are just a few of the numerous cases of ivory trade interceptions; Customs authorities estimate that only 10 per cent of contraband is caught in transit. In both 2005 and 2006, IFAW conducted investigations into China's ivory trade regulations. Such reports concluded that domestic trade control mechanisms in China are far from adequate and it is impossible to ensure that continued trade in ivory will not negatively impact African and Asian elephant populations” (FinancialaContentInc. Jan. 2008). Jesus stated the world will weep over the lose of their ivory vessels, by his own words we can conclude ivory will be a costly item at the time Jesus returns. The cost of ivory is headed right in the direction Jesus said it would. Click to link below for full report. Also included in the list Jesus gave us in Revelation 18 are wine, oil, flour, wheat, floor, beast (animals) sheep, horses and chariots. Are we seeing the price of these items listed increasing? You bet! If there is one thing you are probably familiar with it is the price of food. Currently our food prices are out of control. There are many reasons for they increase. Oil prices are out of sight and it costs more too more the products. Global warming has affected crops around the world. In the past few years our planet has faced some of the worse storms we have ever seen and these massive storms have destroyed the crops, which has raised the prices. Another major problems increasing the price of food is over population and war. Let us not forget plagues. We are seeing hundreds of thousands of livestock killed each year because of plagues like the bird flu and mad cow. By the way all of these reasons I just listed are all signs Jesus told us to watch for. If you don’t believe the warning made by Christ, just keep your eyes on your food bills in the coming years, then I am sure you will think twice about what Jesus told you. I know as well as you do the cost of everything has gone up. Below is a current report entitled “Development: Food Prices Climbing, With No End in Sight”. Here is a section from the report, which came out of Washington on December 15, 2008. (IPS) Globalization, climate change, and the mass production of biofuels are pushing up food prices worldwide, which could jeopardize the livelihoods of the world’s poorest, according to a report released Tuesday by the International Food Policy Research Institute.” Link to entire report is to the right. http://ipsnews.net/news.asp?idnews=40359 What are the chariots in the list? These are the automobiles. You must understand that during the 7 year tribulation everything is going to change, mostly everything will be destroyed including means of transportation use as chariots (automobiles). Please love their cars but they will weep for them when they are no longer! Jesus gave us insights on these things to help us prepare to meet him, and to prove His Words never fail. If you still doubt this is all true, just keep your eyes on the market place. All of these items are going to rise in price just the way Jesus showed us. Now, as all these prices are rising, America 's dollar is falling and she is beginning to fall just like the dollar. Don't expect a new American President will be able to solve our problems. Prophecy is clear, the European Union is going to become (The) major Superpower and America will take a back seat to her. If you know what prophecy states you will understand the coming Superpowers that will play a major rule in end time prophecy are the nations of, Russia, China, and of course the European Union which, will soon be lead by the Antichrist. The coming fall of the U.S. economy is not that far off. I for one, am preparing myself for what is coming, I hope to God you do the same. I think you should see the video below; it is very interesting and talks about where the U.S. is headed. The name of the video is “The U.S. Economy is Unsustainable”. As you can see from the reports below gold is affecting the way people are doing business and investing. The headline to this report is entitled, "The Gold futures gain, as dollar drops vs. rivals." I placed a section of that report below, but it would do you good to read the entire report, just click to link below. What you don't know about the Jehovah's witnesses and their Watchtower Society. Documenation that will blow you away! Did you ever wonder about those Jehovah's Witnesses who come knocking at your doors? Did you ever really listen to what they teach? Did you ever wonder why they won't take any information from you? Did you know the Watchtower claims to be the modern day prophets? Did you know what it was these prophets had prophesied? I had these witnesses come to my door at a point in my life when I was searching for the truth as to what religion I should go to. I started to study with them to see what they were teaching. I ran into major problems not long after I began to study with them. As a result I got all the question I ever had about the Watchtower Society were answered. They were answered when I began to check out everything they were telling me. Every time they quoted someone I checked to make sure it was accurate. If you click to the link below you will see all the proof you need with photos that the Watchtower Society is not what they appear to be. As a matter of fact, I will show you how Satan has been running this organization for years. I promise you, if you look at this material from my searching the records it will blow you away. I promise you, if you love God this information on the Watchtower is a must see. Click to link and give it about 41 seconds to open up. Hang on, it is a good read! If you see what I have you will think a lot different about those Watchtower witnesses coming to your door! Click to link below and give it about 40 seconds to load. These photos are a preview of what you will see. About a month ago I wrote a post about the European Union as it relates to Bible prophecy. I warned you to keep your eyes on the economy. I said you would begin to see how the EU would rise and, that the Euro would continue to grow while the U.S. dollar slips away. Signs of what I warned you have already surfaced. The headline in this following Yahoo News report went like this, “Euros Accepted" signs pop up in New York City (Yahoo News Feb. 6, 2008). “The increasingly weak U.S. dollar, once considered the king among currencies, has brought waves of European tourists to New York with money to burn and looking to take advantage of hugely favorable exchange rates” (Ibid). I guess at this point I don’t need to tell you to keep your eyes on the U.S. economy? Every night in the news there are signs America is going to take a big hit. One question I have been getting a lot lately is whom am I going to vote for. Frankly, we are in a no win situation as far as prophecy is concerned. Let me explain. Vote for McCain and the 3 trillion dollar debt will continue to grow because he will keep U.S. troops fighting in the Middle East. Remember the Soviet Union? Do you remember how this nation fell from power? They invaded Afghanistan with their war machine and got so far in debt that the nation fell apart and many Soviet states split away. The Afghanistan war was the U.S.S.R’s dooms day mistake. The only saving grace Russia had was the fact that prophecy shows God was not finished with Russia yet and, would use her later to fulfill a major prophecy in the near future. Ten years after Russia fell apart they have returned with a vengeance and are now one of the wealthiest nations in the world. How is this possible? Russia discovered black gold (oil). Currently I have chapter 10 posted at my site. If you read chapter 10 you will learn the final fate of Russia as they try to destroy Israel. Getting back to McCain. McCain has repeated his call that he will not leave the Middle East, so we will continue to go deeper into debt until we fall, just the way the U.S.S.R did when they stayed in Afghanistan. However, if McCain were to pull out of the Middle East as Hillary Clinton and Barack Obama say they are going to do if they get elected, then I can see a major war breaking out in the Middle East very soon. Once the U.S. troops leave the extremists will move in again and, this time they will not only retake Iraq and Afghanistan but will try to take out Israel as well. Seriously, if you want to know exactly how the story is going to end, you need to read chapter 10 from my book, or turn to chapters 38-39 in the book of Ezekiel, which is found in the Old Testament. In any case, prophecy tells us the European Union (reborn Roman Empire) will be the last major superpower at the time Jesus comes again. It is by no fluke that the Euro has taken over the dollar, and it is by no fluke that the EU is raising to the superpower status. The link below will bring you to the Yahoo report on the going use of the Euro. Today this is what the dollar rate is against the Euro. 1 Euro (EUR) = 1.46351 US Dollar (USD). I wish I could give you all good news, but what I am reporting are the facts, which, Jesus told us to keep on the watch for. Here’s the good part, Christ is coming soon and when He does we who are standing ready and on the watch will be taken to heaven with the Lord. There is only one way to God, and that is through Christ Jesus. I repeat Jesus own words, “I am the way and the truth and the life. No one comes to the Father except through me” (John 14:6). Can you really escape what is to befall us? Since Jesus never lied you can could on His Words. This is what Jesus said, Watch therefore, and pray always that you may be counted worthy to escape all these things that will come to pass, and to stand before the Son of Man” (Luke 21:36). I pray you will consider Christ and begin to stand with me as we watch and make ourselves ready to meet our Lord and Savior Jesus Christ. Special Note: I will keep adding the evidence I found that proves beyond a doubt that the Watchtower Organization has been lying to their own people and us. You will want to see these documentations. See post below.